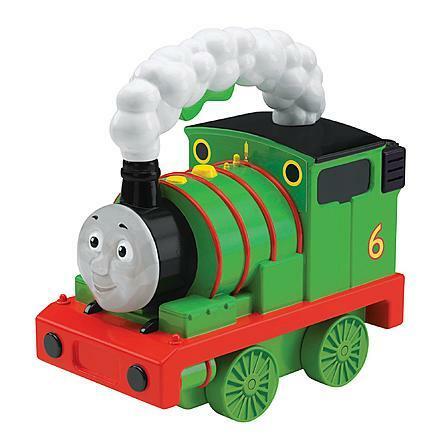 Thomas & Friends Light-Up Talking Percy Just $7.99 Down From $18.99 At Sears! You are here: Home / Great Deals / Thomas & Friends Light-Up Talking Percy Just $7.99 Down From $18.99 At Sears! Sears has this Thomas & Friends Light-Up Talking Percy on sale for $7.99 (Reg. $18.99)! See your little one’s face light up whenever Light Up Talking Percy Engine starts to toot his horn with fun phases and sounds. Just press his chunky, kid-friendly handle to hear him do his thing, and keep the handle pressed down for continuous light. His lights and sounds are sure to offer hours of fun for your little one – enough to make him a true household favorite!